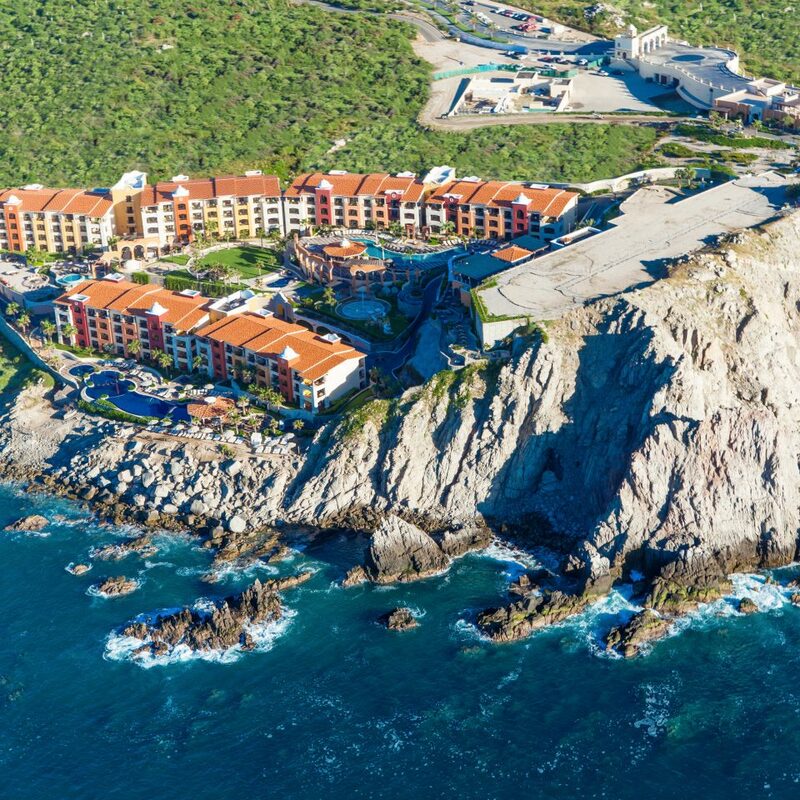 Mexican beachfront resorts often conjure up images of palapas and palomas, but you’ll find nothing stereotypical at this nature-driven Golden Corridor haven—a spellbinding stack of quarry stone, granite, and marble. 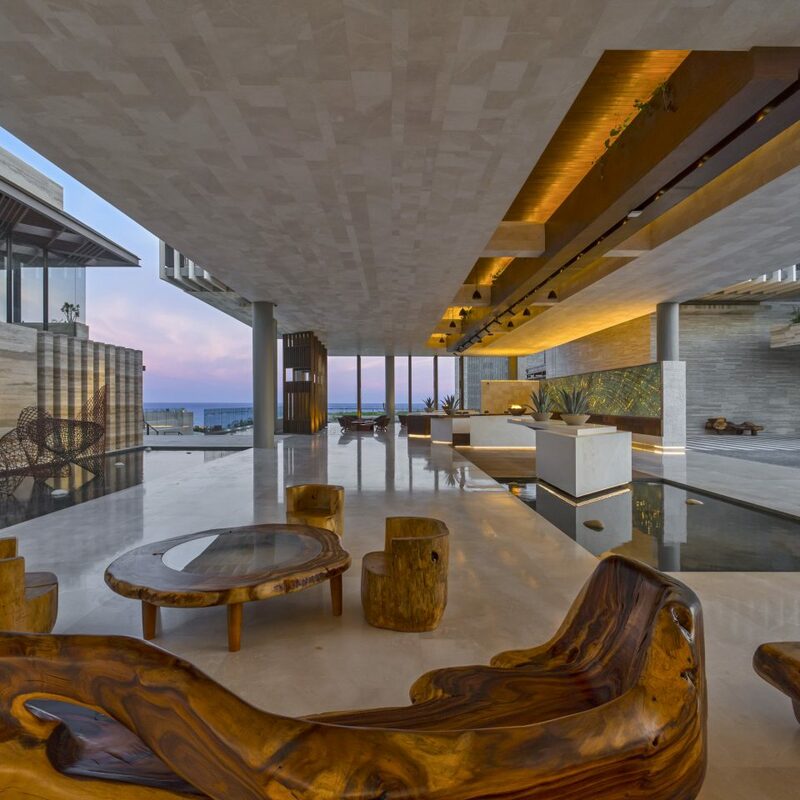 Sandwiched between a pair of rock beds, the sophisticated retreat seems to sprout out of the Sea of Cortez itself, and all 128 rooms maximize those ocean views with floor-to-ceiling glass doors, outdoor showers, and private plunge pools. 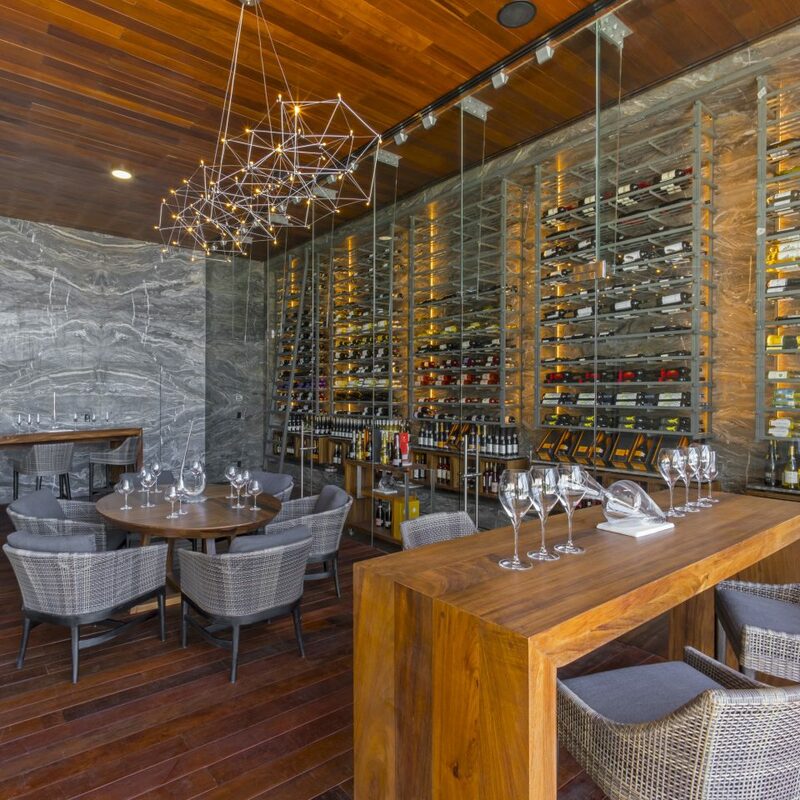 If you’re in the mood to mingle, make your way to one of the public pools (there are five to choose from here, including a pair dressed in exquisite green granite) or stop by one of the property’s four restaurants, where executive chef Pedro Joaquin Arceyut preps just-caught fish, dry-aged steak, wood-fired flatbreads, and innovative salads with greens sourced from local biodynamic farms. 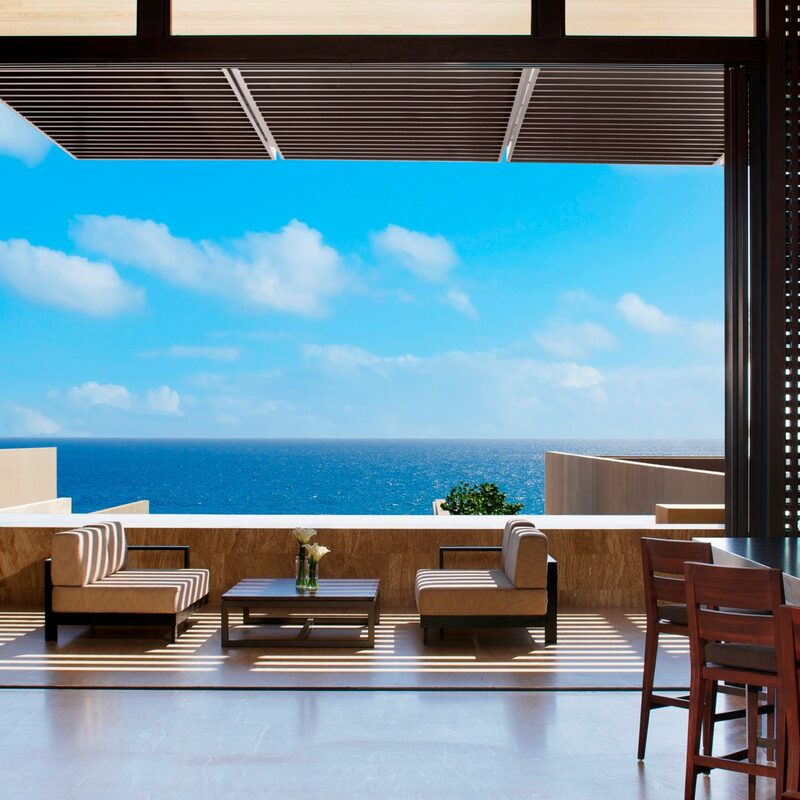 Let’s not forget the resort’s 10,000-square-foot spa, which is the area’s only spa to offer thalassotherapy and well worth reserving a day for. 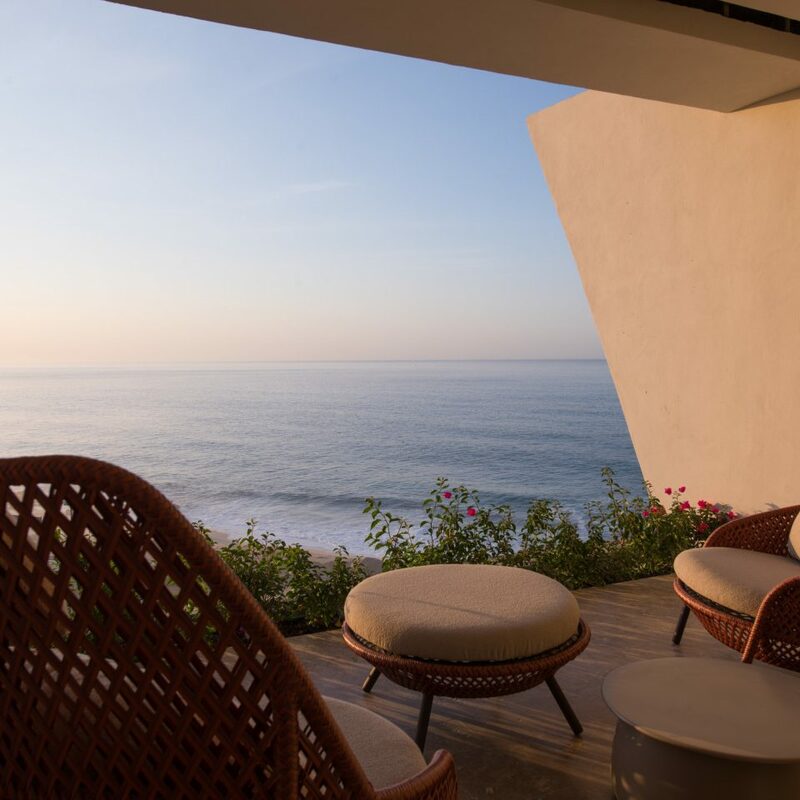 Privacy is paramount at this seaside sanctuary, which is midway between the main hubs of Cabo San Lucas and San José del Cabo. While the dusty Carretera Transpeninsula isn’t exactly known for its swimmable beaches, this pristine stretch of shore is an exception. 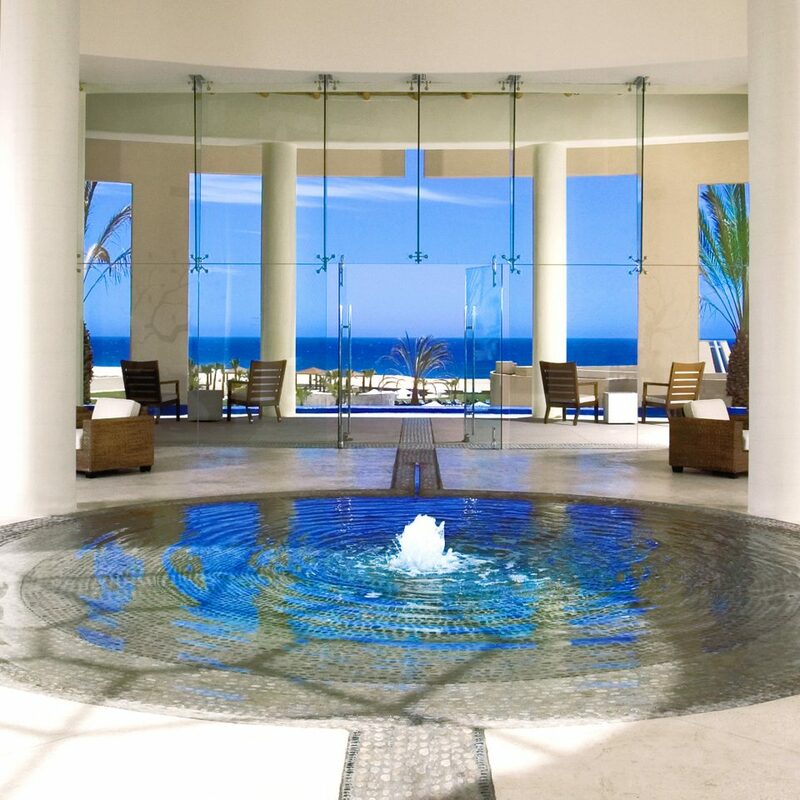 For a closer look at Baja California’s golden deserts, arrange botanical tours of Cactimundo and Wirikuta (the resort can assist), or partake in one of the area’s seasonal outings: whales visit the coast during winter and early spring, a weekly art walk dazzles visitors between November and June, and a revolving door of fishing tournaments lures avid anglers. Gorgeous property, stunning views, incredible rooms - Read this for specific Kinks to be worked out. 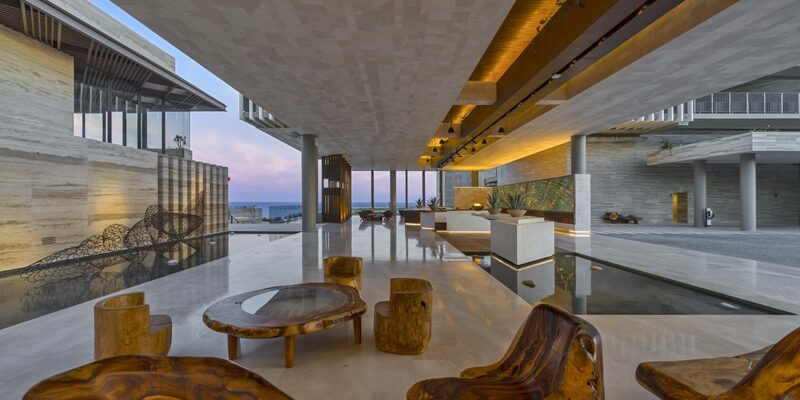 This is one of the most incredibly beautiful properties ever. It is difficult to articulate without seeing & experiencing it. Someone with an incredible imagination designed this thoughtfully. It is tough to review as I loved the space but was frustrated with service for the price. 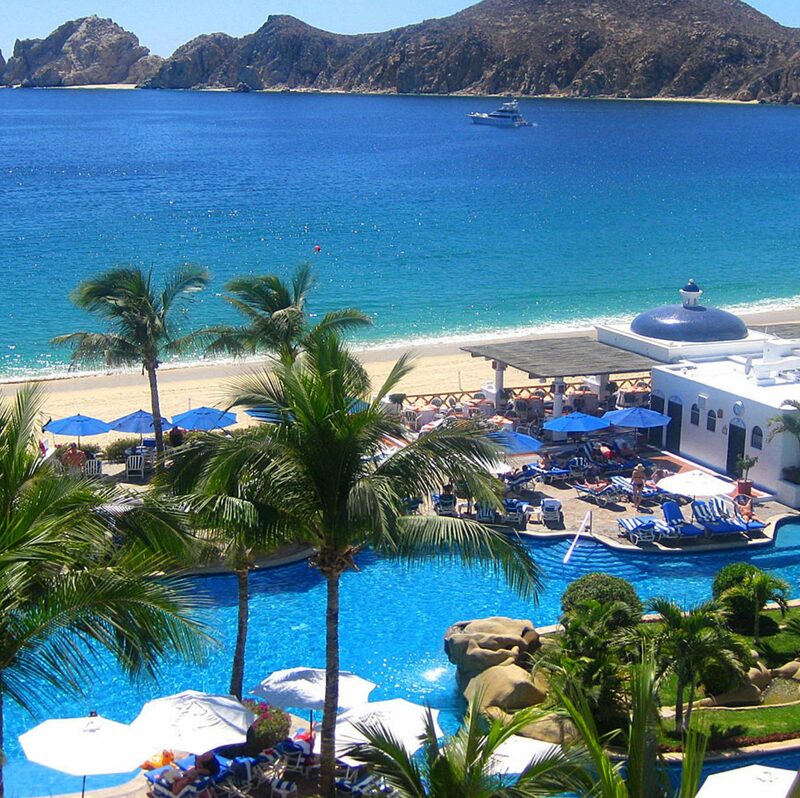 We have stayed at much less $$ spots in Cabo & service has been mind blowing. I think they want to provide it here but it's just not there. Upon entering the lobby you are immediately blown away. 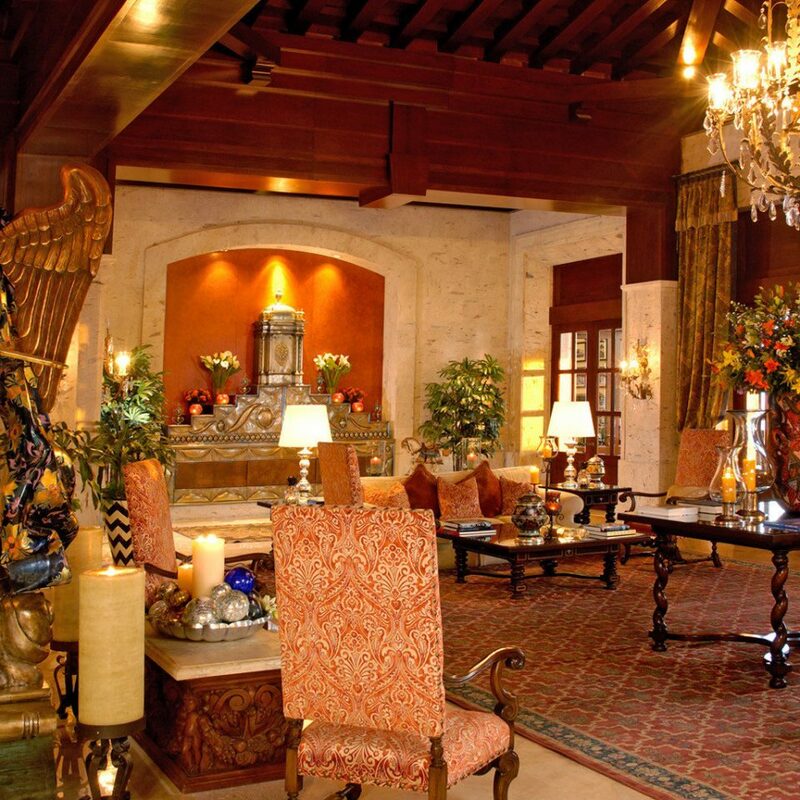 Like many guests have stated it was pretty easy to check in & they assign you an ambassador/butler. This person doesn't really give you a choice but walks you around and then takes you on a golf cart tour of the property. Then they take you to your room. This ambassador was very sweet & we immediately knew we wouldn't be asking for anything further as we are self-sufficient travelers. We didn't hear from him again until we were checking out. Pool service is pretty good - there are waiters who come by starting around 10 am. There is a tiny area of the beach to swim if waves are low - either way it's gorgeous for walking and viewing. There is a shallow kids pool behind the big pool. None of the kids wanted to swim in it so one of the days there were 14 children ranging from less than a year to teen age who were splashing, screaming, jumping & turning the bubbles to the jacuzzi on and off at the giant infinity pool. The parents & staff did nothing to control this. At one point 4 children climbed into the shallow water fountain area in front of Mako restaurant and stood splashing water at guests eating lunch. It would be great if the resort found a better way to provide a family area. Some folks paid almost $500/night to stay here as an adult escape. A reasonable amount of kid activity makes sense - this was insane & might have me not wanting to return. Overall I will look back & think of how pretty it was & how great we slept but the resort seems to not be making improvements suggested since the opening last fall. I know the staff are good people - some are lacking formal training. 5 days there - and everyone is super nice - and after two days the servers all know your name and what you drink, etc. The property is gorgeous - with pools lining it along the width against the beach. Never saw so many pools. The food onsite is ok - and you don't need to leave although you could. The lobby sets the tone - open air. My only suggestion is - if you can - ask for a room that's not in the main building behind the lobby. The hotels is very wide - from the road to the ocean is probably 200 yards. If you are in the main building, you will hear road noise. For most it's no biggy but if you are a light sleeper it is. The building itself is incredible...all marble...i mean, the construction quality is second to none. Bravo for this hotel. PS - check out the museum - more impressive than the artifactsis the passion of the docent who will walk you through the collection. PPS - go to the gift shop and get the chocolate chip gelato - it was so very good. My stay at Solaz is the reason that I've decided to create a TripAdvisor account. It was simply the trip of a lifetime. I chose Solaz as a surprise trip for my girlfriend's birthday. With that I had to do a lot of coordination with the concierge team to assure the surprise would be properly executed. I can't thank Paul, Angelina, Paulina, and Jazmin enough for their assistance in the planning and coordination. Before I even arrived at the property they demonstrated world class service. They tended to every detail and I couldn't be more thankful for their efforts. The actual property is unbelievable. 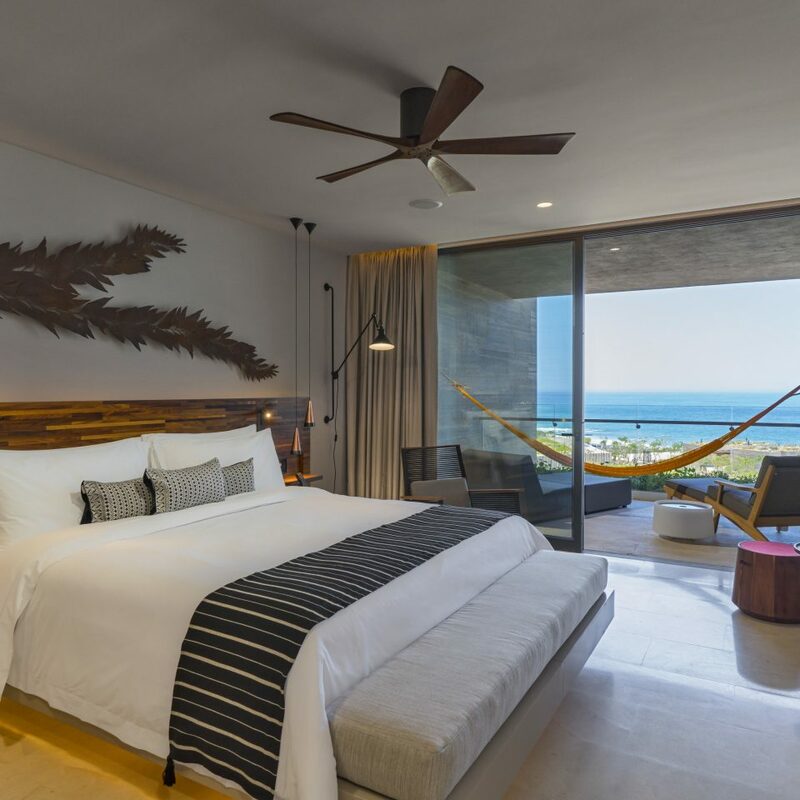 Very modern, unbelievable views, great restaurants, very stylish, comfortable rooms, and a great infinity pool! But what truly takes this property to the next level is the staff. I asked Paul at concierge if they by chance had an adapter that would allow for me to connect my macbook up to the TV. They did not, so the next morning he went into town and bought an adapter for me. Carlos the Artisan was very helpful the entire time! He was prompt and thorough. Caleb at the infinity pool bar had a smile on for the entire week and was truly a joy to be around. 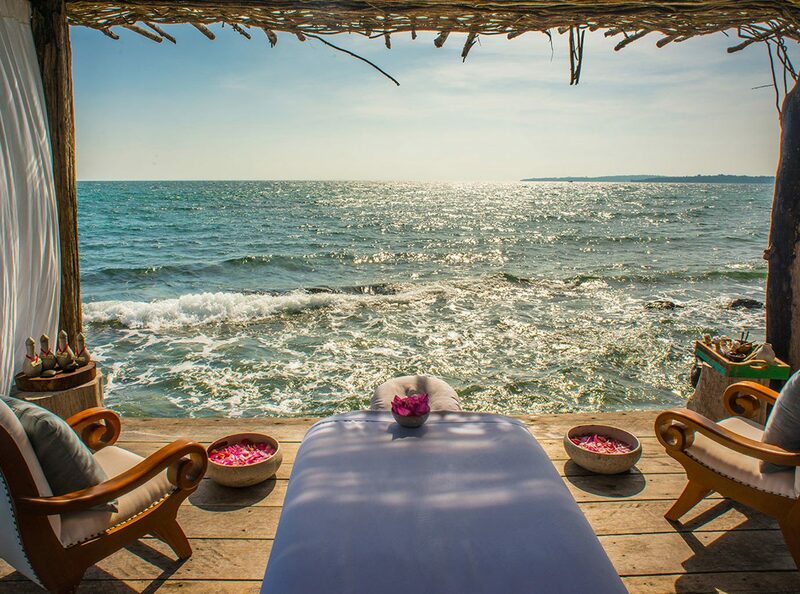 This is the ultimate place for relaxation and the staff does everything in their power to ensure a relaxing trip. This is an amazing property with an even better staff. Highly recommended. You will not be disappointed. New resort that has modern amenities like true high speed WiFi throughout the resort while providing you with a luxurious getaway. The infiniti truly never seem to end. 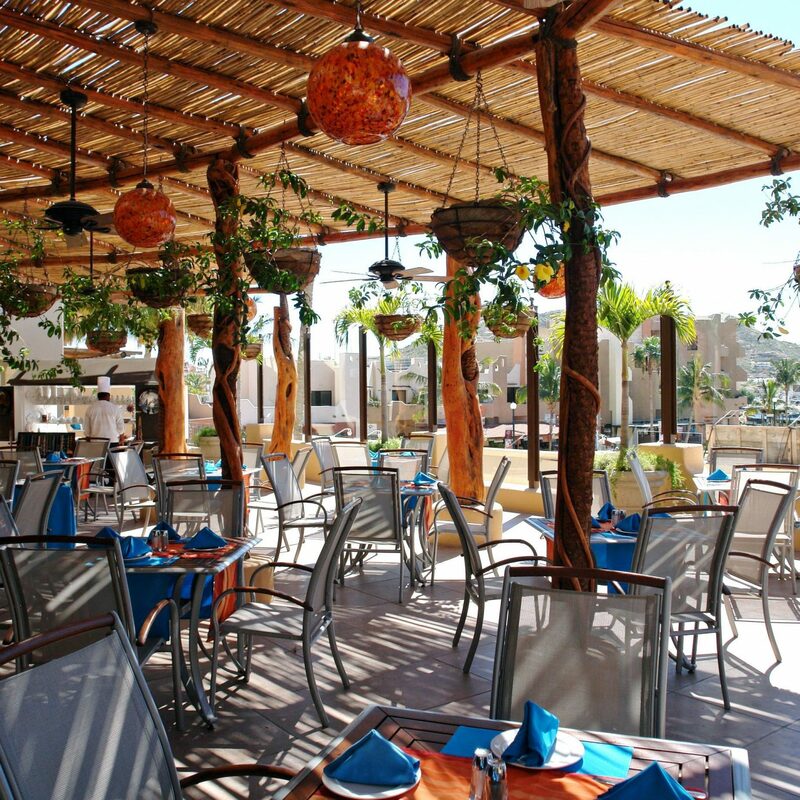 Good food and the lobster tacos and ribeye tacos are a must try with amazing guacamole. Very friendly staff. The hotel was beautiful! Everyone who worked there did everything they could to make your stay perfect. We wanted to especially thank Guillermo. He is the best - the hotel is fortunate to have someone like him who cares so much about customer service. We also ate at the resort several times. Our favorite was the casual restaurant at the pool. Great fish tacos during the day and the menu changes for dinner. Don't miss a visit to the spa!